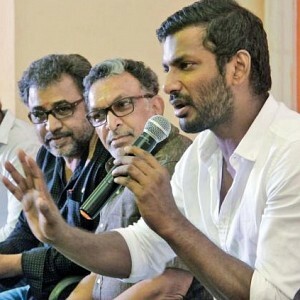 Actor Dulquer Salmaan's recent release 'Solo' hit screens a few days back and it was disappointing the film witnessed just a one-day screening throughout Tamil Nadu because of the ongoing entertainment tax issues which stopped all new releases in the state from Oct 6th. The film which received mixed talk for its climax was also appreciated for its experimentation. 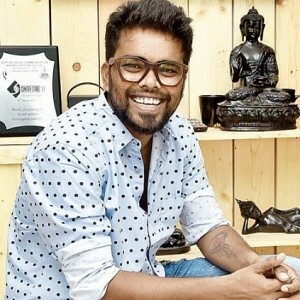 Solo's Malayalam climax was said to be changed after 2 days, but the director said those changes happened without his knowledge. Now, the lead actor himself came forward to speak about this issues. Dulquer Salmaan posted the below message on his official Facebook page. He said. Don't kill Solo, I beg you. I've been meaning to write a note about Solo after watching the film myself and because of my sched I could only get the time today. I saw it. And it's turned out much better than I could ever imagine it. I loved every second of it. Sure there are a few issues here and there, in terms of language, because it is a bilingual and maybe the Shekhar track needed longer screen time. But, I absolutely LOVED the FILM. The original version. The version my director, Bejoy Nambiar envisioned. Films like Solo are any actors dream. I loved it the moment I heard it. I loved every second of shooting it. And now I love the final product on screen. I put my heart and soul into the film. On a limited budget to make such a big film, we put our blood and sweat into it. And I'll do it again for films like this. For films I believe in. For films, I find 'different'. People tell me Solo isn't like Charlie and Bangalore Days. They asked me why I did it. They say I could have avoided it. They say this kind of experimenting is unnecessary. But you know what, that's why I love it. I want to constantly do "different" films. Yup the big killed overused cliche of the film world. "Different". So why do a certain section of our lovely audience fear, dislike and mock different? 7 billion humans walk the earth. There is bound to be that many stories. That many issues. That many conflicts or differences. If you are not familiar with it, doesn't make it go away. If you are not aware of it, doesn't make it wrong. Cause if you do, you just run the risk of being ignorant. Or judgemental. Or both. We are only human. So why judge? I seek stories wherever I go. Whether it's news articles. Whether it's people I meet. Whether it's movies I watch or books I read. And I've always believed my viewers give me the courage to tell any story. If it's original and if we tell it well, you will all enjoy it. Good, bad or ugly. Black, white or grey. It's always been my deciding factor in choosing scripts. So when several people mock and hoot and write badly about my favourite track, The Rudra story in Solo, it breaks my heart. It excited all of us actors. Be it Nasser Sir, Hasini Ma'am, Neha or Me, we were kicked that it was so unique and bold. It's based on true incidents and there have been several news stories like it. We wanted to make a film about it. We thought the best way to tell it was through humour. So when people say it became unintentionally funny I don't get it. The sequence where the amazing Suhasini Ma'am in a stellar performance of apprehension/embarrassment/awkwardness breaks the news to my character Rudra, has been for me one of the greatest scenes in my cinematic career. It was a single shot and I had to interpret it how I deemed best. For an actor like me that was new and unprecedented. With no reference point. I enjoyed that more than any scene in my life cause it's different from anything else. And it was funny when Bejoy told us about it. It was funny when he called cut. It was funny during dub and it was funny when I saw it on screen. Of course the characters won't make it a comedy. They will be sad and broken and awkward on screen. Especially Rudra. Sadly because it was awkward people didn't understand if they were laughing with us (the makers) or laughing at us (the makers). Dark comedies are meant to be awkward. Always have been. That was our intention. So mocking it, booing in theatres, spreading negativity and hate and degrading the film because you didn't get it, just kills the film. It breaks our hearts, breaks our spirit, and kills the courage you gave me all along. So I beg you. Don't kill Solo. Give it a go with an open mind and you will have a blast with the film. P.S. I stand by Bejoy Nambiar. And his version. Always. Cutting, shuffling or whatever by persons unrelated to the making of the film will also aid in killing it. 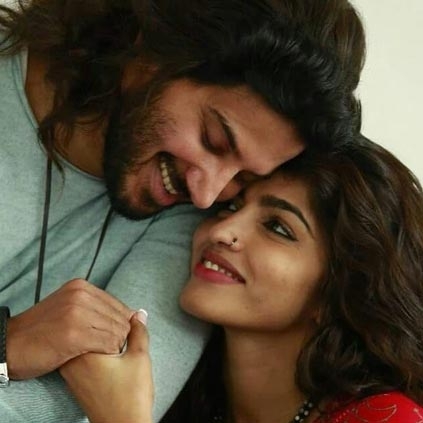 Dulquer Salmaan's Tamil-Malayalam bilingual directed by Bejoy Nambiar was sent for censoring a few days back and it came out with a U/A certificate. Solo is an anthology that talks about four different people, each story revolving around four different elements: Earth (Rudra), Fire (Siva), Water (Shekhar) and Wind (Trilok). This Dulquer Salmaan starrer is scheduled for October 5th release which happens to be next Thursday. Official: Vijay's Mersal promo video! When will 2018’s Star cricket tournament happen? details here! Mersal promo 2 - characters revealed and new dialogues here! Check out! 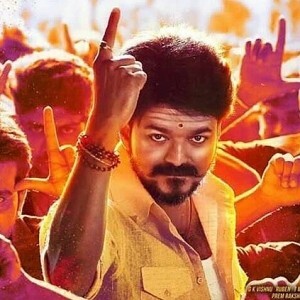 “Oru Kozhandha Uruvaagardhukku 10 maasam!” - Mersal promo 1 review! 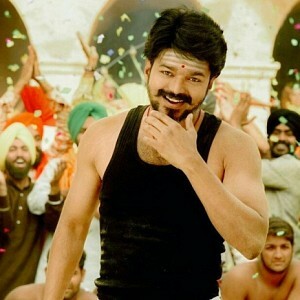 Official: Mersal release date is here! Mass: Vijay's Mersal Villain's new look is here!